Mother to three kids with big personalities, foster and adoptive parent with Andy, her husband of 14 years. Educator, nurturer, believes all people deserve compassion and equal rights. Likes: Yoga, knitting, reading something she can’t put down, all cats big and small, travel, strong coffee, being on the water, watching her kids dance together. Dislikes: Materialism, inflated egos, repeating herself, seafood, and clutter. Apryl believes in living with intention and learning from each person she meets. She began her career as a classroom teacher before transitioning to program management for a CLE museum, and spent her free time traveling with her husband. Though she enjoyed her work, becoming a mother and foster parent had always been a major goal in her life. In 2013, she left the workforce to focus on her newly adopted son and entering the world of foster care through Cuyahoga County. 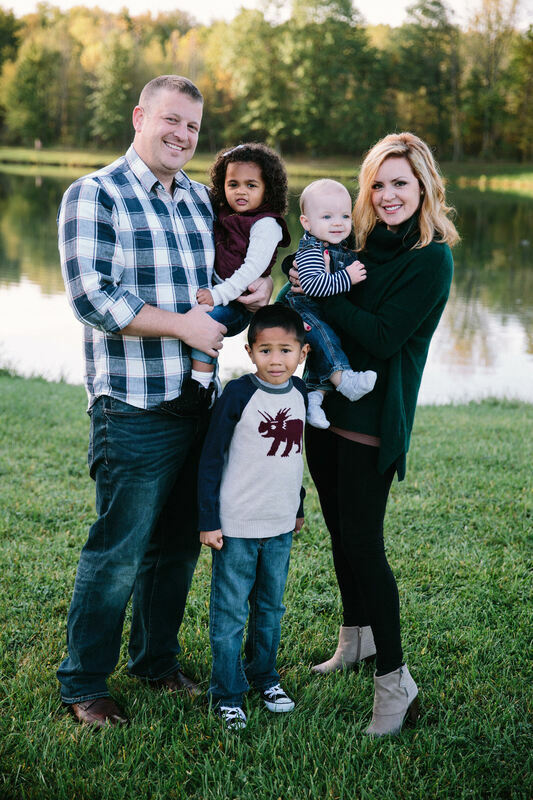 After five years, fostering 3 infants, adopting two children and welcoming a biological son, Apryl was ready to invest some time back in the community serving families with the Cleveland Angels. She’s passionate about building awareness of the particular challenges children with histories of trauma face, and empowering people to understand that behavior is always communication. Grateful for the many strong mentors she’s encountered in her life, she aspires to be an example of strength, courage, and positivity for her own kids (and to regularly have dance parties in their living room and eat a lot of popcorn). She completed her BA with Honors at Ohio State University in 2003 and her Masters of Education with Honors at John Carroll in 2004. She is a certified yoga instructor, serves in the PTA and loves to spend her free time with her family exploring Cleveland.